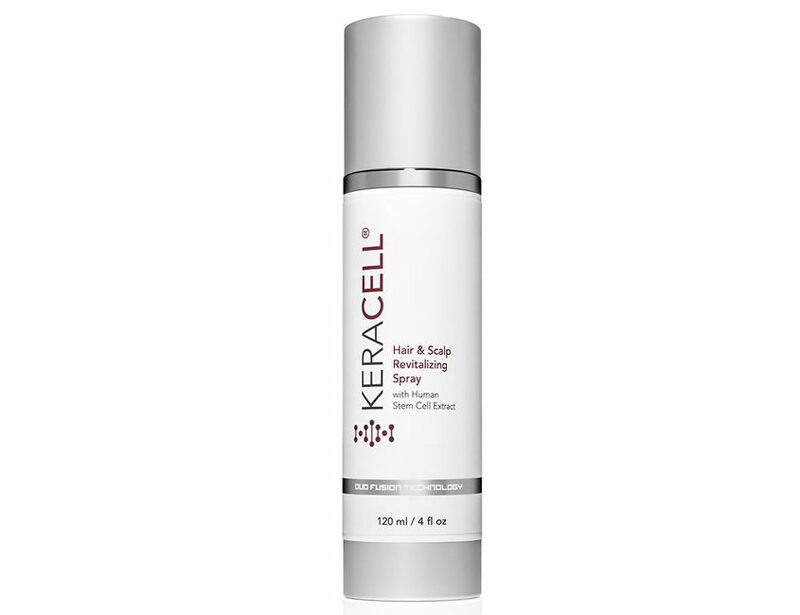 KERACELL® Hair & Scalp Revitalizing Spray targets hair loss, scalp and follicle regeneration for both Men and Women. This innovative formula contains MHCsc technology, Redensyl and Capixyl, along with some of the most leading-edge ingredients in the industry. The combination of these proven technologies, pepties and ingredients help nourish the scalp and follicles, reduces inflammation, and helps modulate DHT for clinically proven results.KERACELL® Hair & Scalp Revitalizing Spray targets hair loss, scalp and follicle regeneration for both Men and Women. This innovative formula contains MHCsc technology, Redensyl and Capixyl, along with some of the most leading-edge ingredients in the industry. The combination of these proven technologies, pepties and ingredients help nourish the scalp and follicles, reduces inflammation, and helps modulate DHT for clinically proven results. Deionized Water, Human Stem Cell Conditioned Media, Acetyl Tetrapeptide-3, Trifolium pratense (Clover) Flower Extract, Propanediol, Glycerin, Arginine, Lactic Acid, Glycine Soja (Soybean) Germ Extract, Triticum Vulgare (Wheat) Germ Extract, Scutellaria Baicalensis Root Extract, Glycine, Larix Europaea Wood Extract, Zinc Chloride, Camellia Sinensis (Green Tea) Leaf Extract, Panthenol (Pro Vitamin B5), Hydrolyzed Kale Protein, Hydrolyzed Carrot Protein, Hydrolyzed Lemon Protein, Hydrolyzed Quinoa Protein, Polyglyceryl-5 Oleate, Mentha Piperita (Peppermint) Leaf Oil, Menthol, Phenoxyethanol, Ethylhexylglycerin. Apply product directly to the scalp onto areas of thinning hair. Depending on the size of the area to be treated, use 2-4 pump sprays. Gently massage into scalp and allow to dry. Product can be applied while hair is damp or dry hair. For best results, use twice daily.